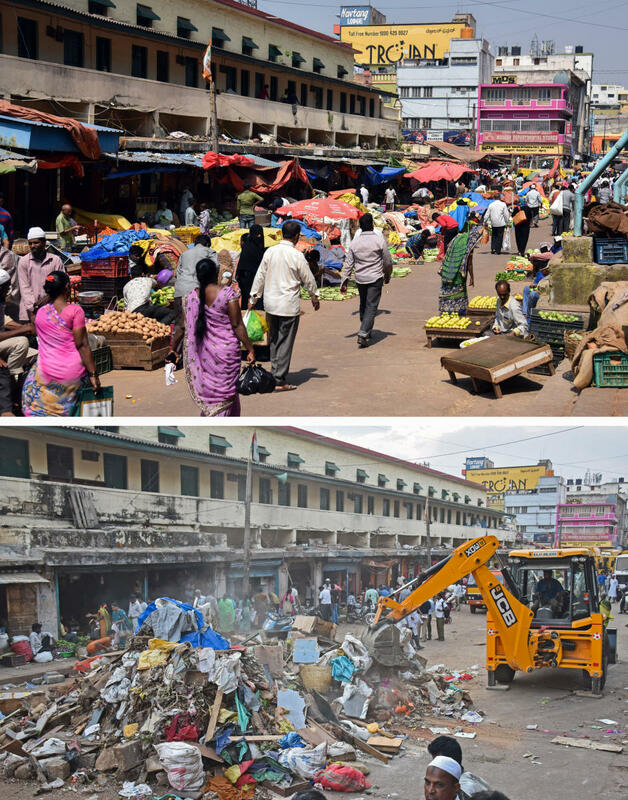 KR Market, among the oldest and the largest in the city, was cleared of encroachments and unauthorised shops on Friday. A total of 2,021 encroachments were removed while dozens of unauthorised shops were pulled down. 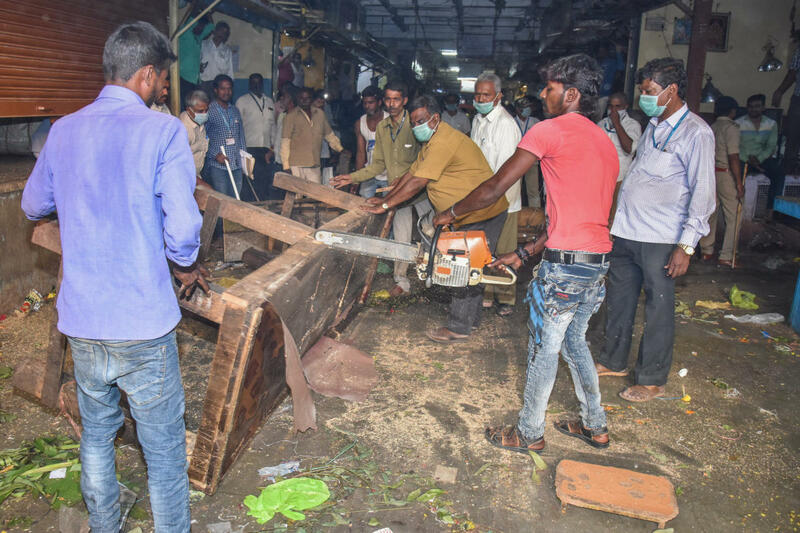 Pulled up by the high court, the BBMP commissioner had visited the market on Thursday and promised to remove the numerous unauthorised constructions and clear the footpaths. In a stern ruling on Wednesday, the court had ordered the civic body to adopt the 19 fire safety measures recommended by the fire and emergency services department. The market was so much encroached upon that it would have been almost impossible for firefighters to reach there in case of a fire. To enforce the court’s ruling, the BBMP marshalled its personnel from East, West and North zones. In all, it deployed 390 personnel, 48 tractors, 15 lorries, eight compactors, eight earthmovers and 30 marshals, besides the traffic police. The drive yielded about 240 loads of debris. Among the encroachments removed were permanent tables and steel structures used by shopkeepers to display their merchandise. 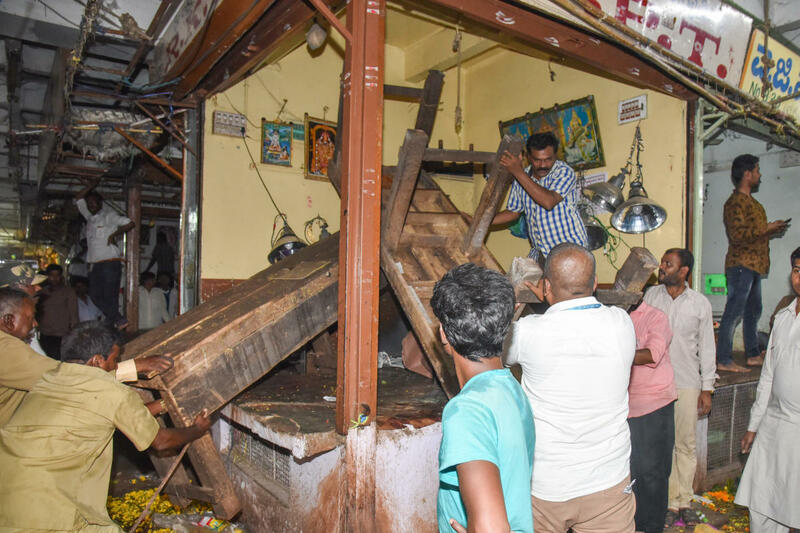 Most of the shopkeepers had encroached upon at least three feet of the passage in the front, making mobility difficult for people as well as firefighters. The BBMP also identified a place to keep fire safety vehicles, ambulances and other implements. A BBMP official claimed that removing the encroachments had freed up space for the movement of firefighting vehicles during an emergency. 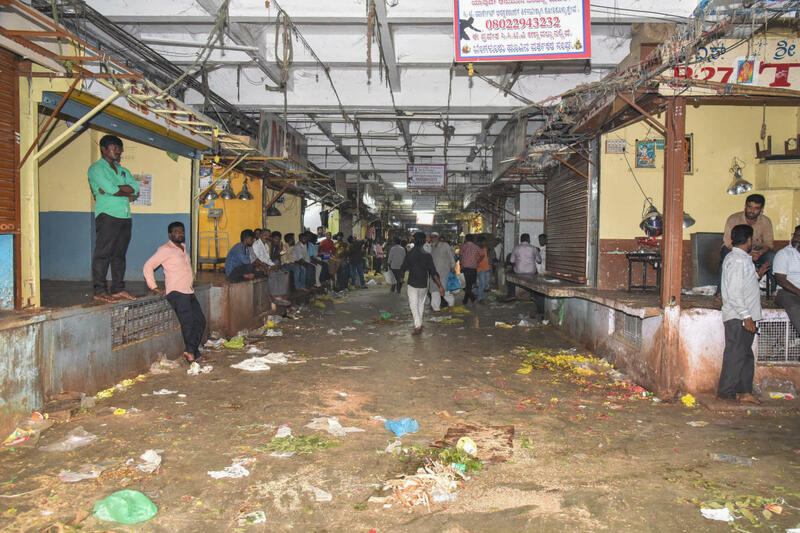 G M Diwakar, president, KR Market Flower Merchants’ Association, however, claimed that the BBMP hadn’t demolished structures built in the ventilated area of the market from 2010 onwards. “There will be a fire exit only if these structures are removed,” he said. A BBMP official said those structures would be removed eventually.